Falun Dafa at the Brandon Library! The Brandon Public Library is pleased to announce something new for October and November! Are you ready to let go of stress, be more energetic, and improve your health? Yeah, we thought so. Join us on Saturday, October 6 for our first session of Falun Dafa! Falun Dafa is a meditation practice that brings about serenity and a higher level of awareness while also greatly benefiting your physical well-being. Stephanie Zhang will be leading our sessions. Please call the library 601-825-2672 to register. 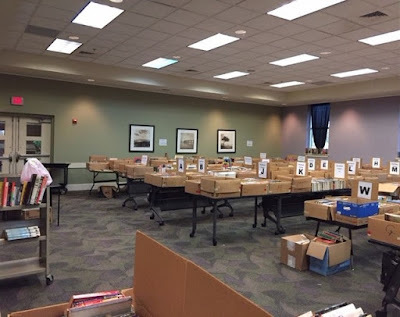 BOOK SALE! It's the BIG ONE! Need a movie? New series to read? Something for the kids? 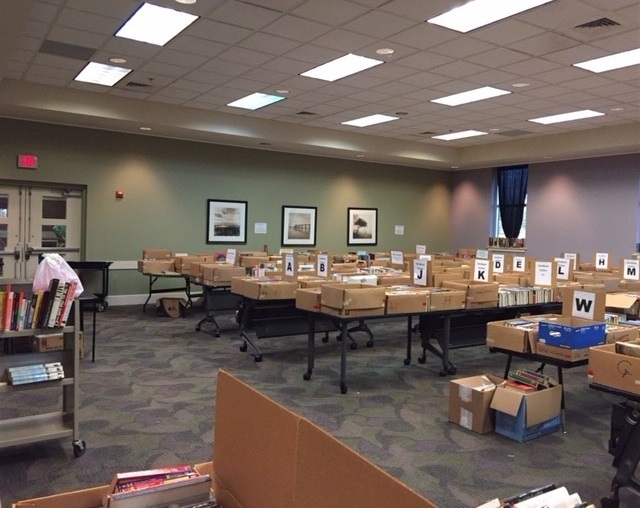 The Friends of the Brandon Library Book Sale will have it! ABCDs of Medicare: Physician’s Mutual will teach us about Medicare and answer any questions we may have. This class is designed for those turning 65 in the next 6 months or so. Please call the library at 601-825-2672 to register! Technology After You Die: Provided by the Mississippi State University Extension Service, this lesson will teach you how to plan ahead for what happens to your online accounts after you pass away, including social media, email, and passwords. Bring all passwords with you. Space is limited, so call the library at 601-825-2672 to register. Dilly Dilly To Medieval Fest Family Night At The Pearl Library! No, we aren’t talking about celebrating a highly popular, American-style, sudsy brew, Dilly Dilly! LOL! Hey, did ya know that “dilly” is actually defined as excellent, outstanding even remarkable?! And, it’s also known to be a medieval “Cheers”! SO, fittingly… dilly dilly to The Society for Creative Anachronism’s (SCA) local chapter, Shire of Iron Ox, that Kristen Hillman, the Pearl Library’s youth services supervisor, has booked to entertain all on Tues. Sept. 11 at 6 p.m.
You don't want to miss this free program! There will be costumes, displays, food and more! 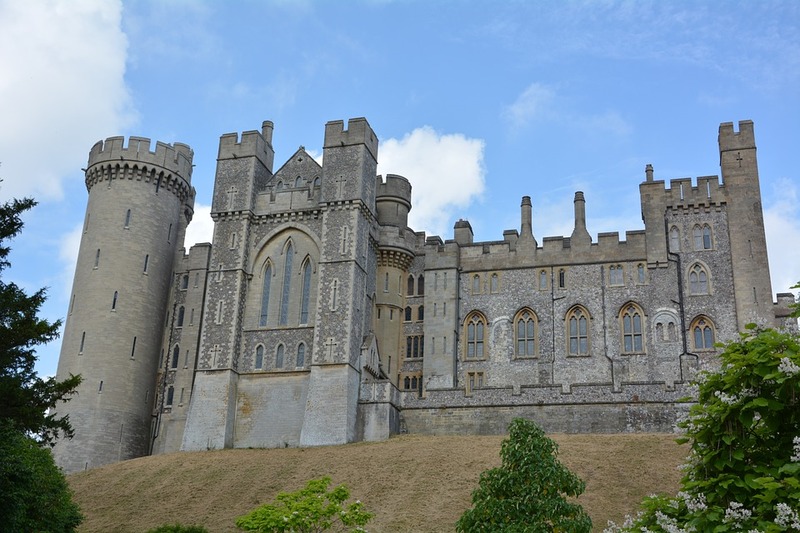 The Shire of Iron Ox, will have a demonstration of the medieval period with displays of armor and weapons. They’ll also demo combat of the Middle Ages. The group hopes to have 12 to 15 of its members come and will likely have tents, fighting ropes and stakes according to one of its officers. It will be an awesome time… Dilly Dilly! By the way, the Shire of Iron Ox is the re-enactment group seen at CelticFest in Jackson! They’ll be dressed in period costumes so for added fun, Kristen is encouraging program participants to feel free to come dressed in medieval attire! Dilly dilly! Hey, it’s a medieval gathering. There must be a feast, right?!?! Right. Only this feast won’t feature all Medieval cuisine! But, there will be BREAD! What's a medieval times feast without bread, and Panera Bread in Flowood is generously donating some! Not to be outdone (just kidding!) the Pizza Shack of Jackson is donating wonderful pizza! See medieval fare won’t be the only yummies featured. But, there’s more…muuuuuuch more! Also featured will be a Bring Your Own Potluck Dish Competition. The best dish will win a Trophy! So, there should be some really great food for everyone to enjoy! 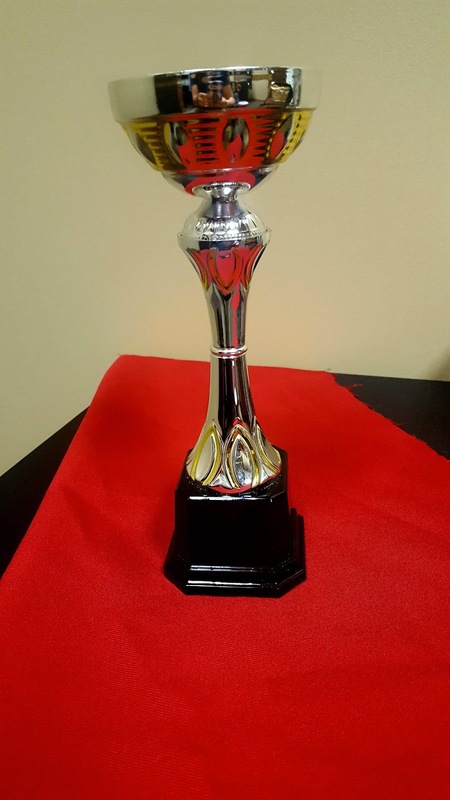 Pictured is the trophy for Best Potluck Dish that will be awarded to a lucky potluck winner! A name plate will be added that states Pearl Public Library Medieval Fest 2018 Best Potluck Dish. For more information about the program you can call the Pearl Library at 601-932-2562 and ask for Kristen. 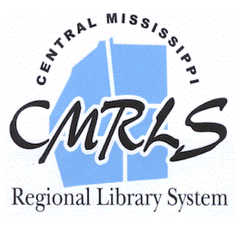 To learn more about upcoming Pearl Public Library programs or programs across the Central Mississippi Regional Library System's 20 libraries, you can visit the CMRLS website at cmrls.lib.ms.us and click on EVENTS. Anyone wanting to know more about the Shire of Iron Ox can visit their website: ironox.org.